B.Abell - Butler did it! 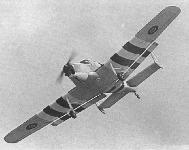 Messenger I RG327 was built in 1944 and was later converted to Mk 4A standard and registered G-ALBE in August 1948. The aircraft was dismantled in Ireland in 1965. Well-known photograph of Field Marshal Montgomery in front of one of the Messengers he used during the latter part of World War Two. With its short, steep take-off and landing capabilities the Messenger was ideal for Montgomery to keep in touch with his commanders during the closing phases of the war. Lord Tedder, Marshal of the Royal Air Force, also used a Messenger for similar tasks. The Messenger's wide-chord one-piece wing with its large, non-retractable, external aerofoil flaps is particularly evident in this photograph of a survivor of the breed. 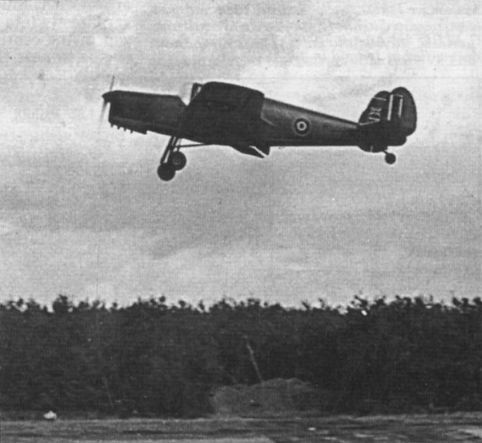 One of Monty’s Messengers taking off on a communications flight in mid-1945. Miles Messenger 2A G-AJOE, rebuilt by the Cotswold Aircraft Restoration Group, currently masquerades as RH378, Field Marshal Montgomery's second Messenger. 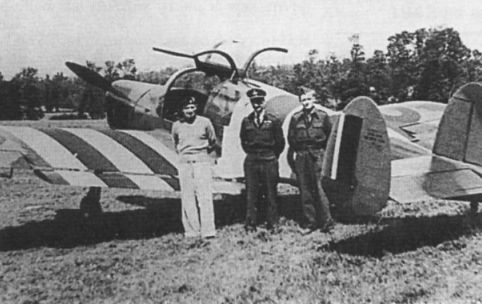 The original RH378, later G-ALBR, crashed at Elstree in July 1949. 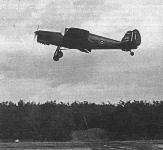 RAF Messengers were powered by the 145 h.p. de Havilland Gipsy Major engine, with fine-pitch propeller. 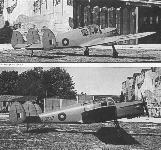 Although there were plans to build 250 Mk Is, only 21 were produced. 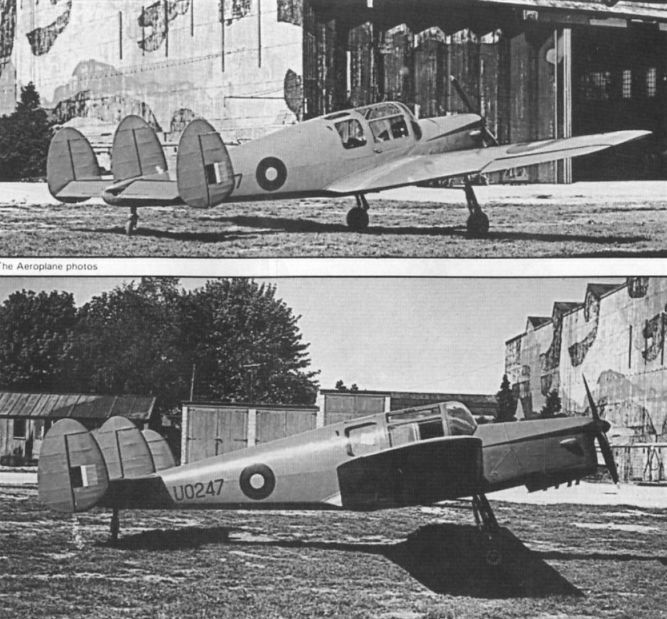 Two views of the sole Miles M-48, which was fitted with retractable external aerofoil flaps.